Yonkers is the fourth most populous city in the state of New York. Its population exceeds 200,000 people. Yonkers is an inner suburb of New York City, just north of the Bronx and Manhattan. The city of Yonkers provides many attractions for tourists. 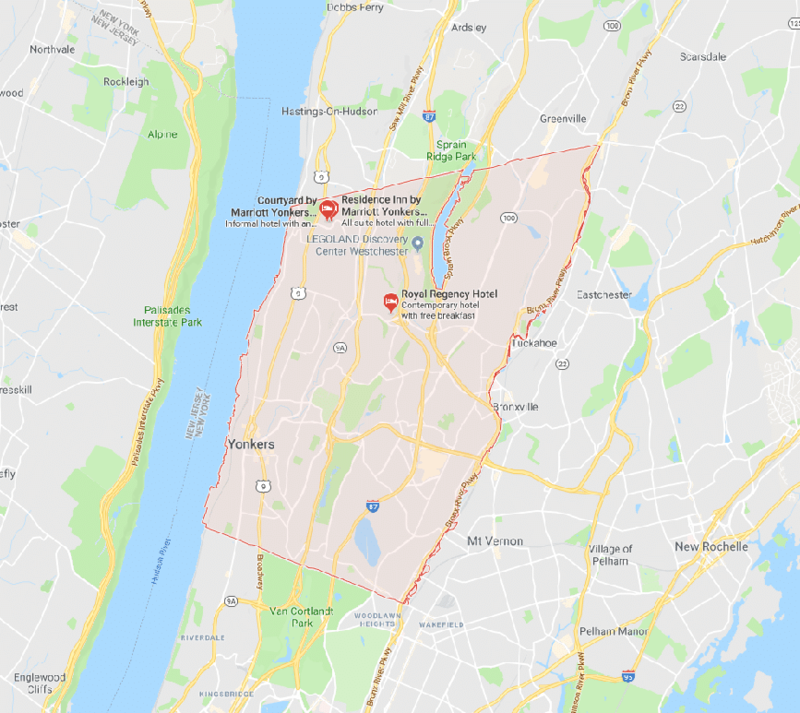 Some of these include the Hudson River Museum, Saw Mill River daylights (this is where a parking lot was removed to uncover a river), the Science Barge, Sherwood House, and the Yonkers Raceway. The Yonkers Raceway is a harness racing track newly renovated. Its clubhouse has, in recent years, added legalized video slot machine gambling. Yonkers also provides shopping areas, primarily located in Getty Square on South Broadway at the Cross County Shopping Center and Westchester’s Ridge Hill. For its early years, Yonkers was actually a farming town coupled with an industrial waterfront that was fairly active. Yonkers major growth relied heavily on the developing industry in the 19th century. Yonkers was home to the first safety elevator factory in the world, opened up by Elisha Otis’ Otis Elevator Company. At the same time, the Alexander Smith and Sons Carpet Company expanded its factories to 45 buildings, causing a huge boom in carpet production. Yonkers’ history is a rich one full of development. This development caused Yonkers to become the city it is today, with it being one of the most populated in New York. It is a must-see for those touring New York and has a fantastic story to captivate all those that come around.